Dean Farshad Fotouhi became the 11th dean of the College of Engineering on Feb. 15, 2011. He joined the Wayne State University Department of Computer Science faculty in 1988 and was appointed chair in 2004 after serving as associate chair. Dean Fotouhi received a WSU College of Science Teaching Excellence Award in 1996 and several Best Paper Awards at various national and international conferences. Before joining WSU, he was a faculty member of the Michigan State University Lyman Briggs College. Dean Fotouhi's research interests include Biomedical Informatics, the Semantic Web and Multimedia Systems. He has published more than 180 papers in journals and conference proceedings. His research has been supported by the National Science Foundation, the National Institutes of Health, the National Institute of Drug Abuse, the Michigan Life Sciences Corridor, the Ford Motor Company and other companies. While at WSU he has secured more than $9 million in research funding and contributions. 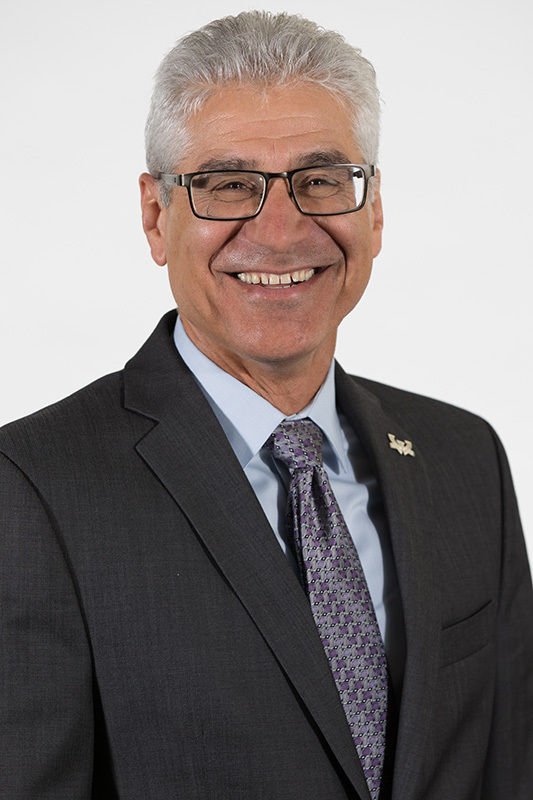 Since joining WSU, Dean Fotouhi has graduated 25 Ph.D. and 30 M.S. students. More than half of his Ph.D. graduates are tenure-track or tenured faculty at institutions in Michigan and across the country. Many of his graduates hold executive positions in industry and corporate America. Dean Fotouhi has been a program committee member for various conferences related to his research interests and is a member of the Editorial Board of IEEE Multimedia Magazine, chair of the Steering Committee of IEEE Transactions on Multimedia, and a member of the Editorial Board of the International Journal of Semantic Web and Information Systems. In recent years, Dean Fotouhi has organized several workshops including the Workshop on Privacy in Information Society, the IEEE Workshop on Scientific Workflow and the ACM Workshop on the Many Faces of Multimedia Semantics. He holds a bachelor's degree in computer science from Western Michigan University and a Ph.D. in Computer Science from the College of Engineering at Michigan State University.